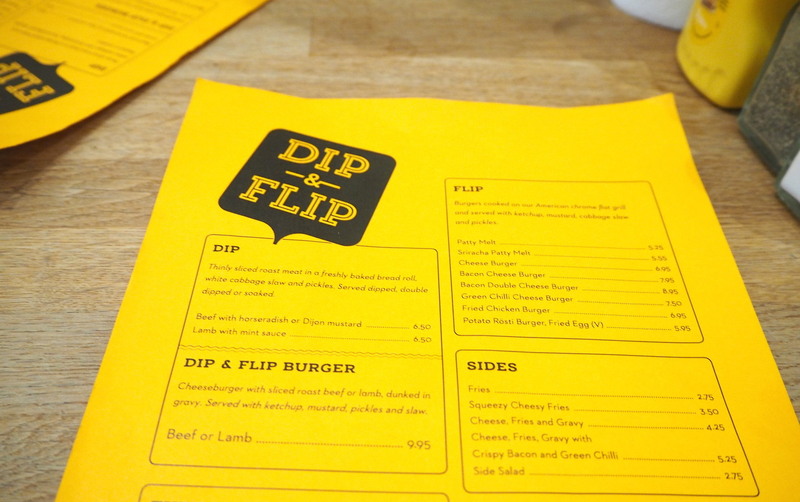 This is my second visit to Clapham’s Dip n Flip burger/sandwich joint. I liked it the first time I went so was excited to return on New Year’s Day, hangover in tow. Rich and I dragged ourselves into the small, sparsely fitted restaurant and sat down on the retro wooden school chairs with insults stenciled onto their backs. An achievement in itself after sitting groaning in the car for 8 minutes, willing a waiter to walk around the corner and take our order. The menu and concept is simple; Gravy, French Dips, Hamburgers & Craft Beer. It’s important you note that I lead that line up with Gravy. You can choose a beef patty (Flip) or slow cooked sliced and dipped beef or lamb slices (Dip), on a bun or soft crusty roll. The roll also has a mix of pickles and shredded cabbage. 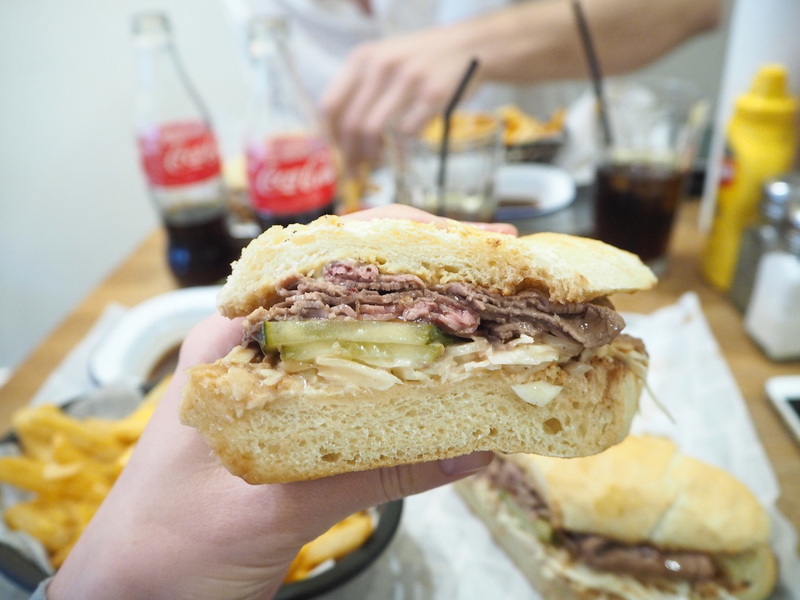 If you want you can have both the burger AND the sliced meat (Dip & Flip). I choose the Dip Beef with horseradish or Dijon mustard. 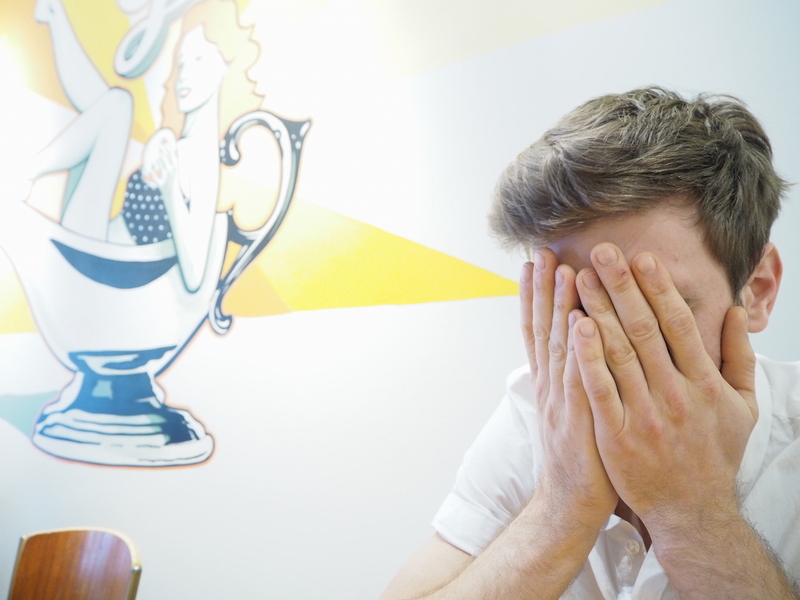 Rich got order anxiety and ended up ordering the same as me for fear of missing out, when he really wanted a burger. 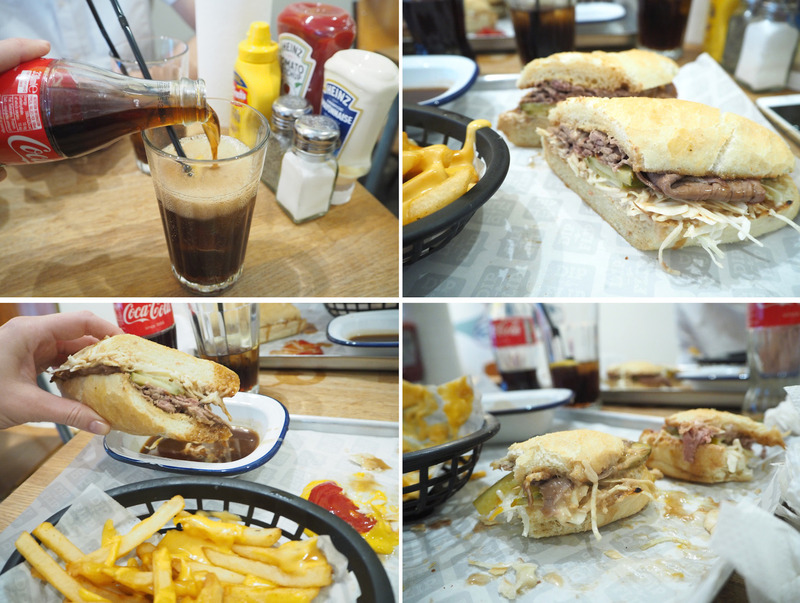 When they say dipped it means the meat is dunked in a tasty gravy before being layered onto the bread choice. 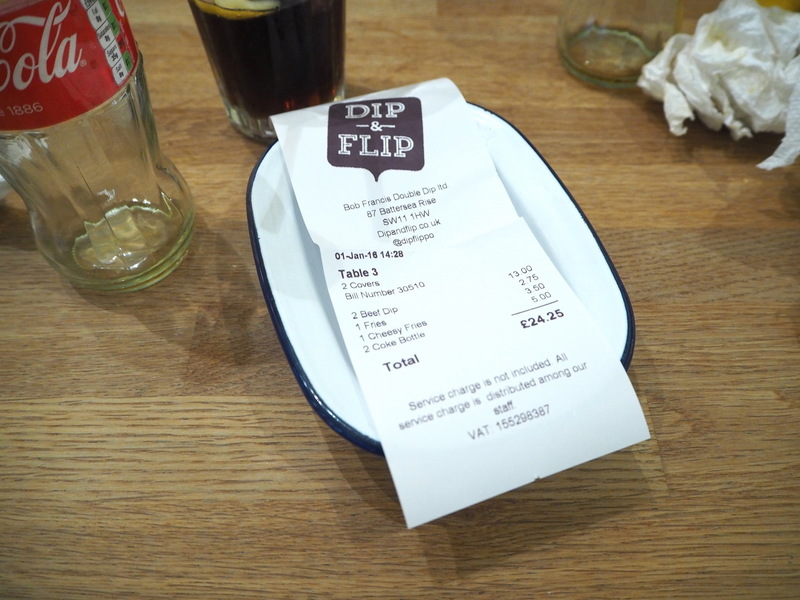 If that wasn’t wet enough, each order comes with its own bowl of gravy for further dipping opportunities. 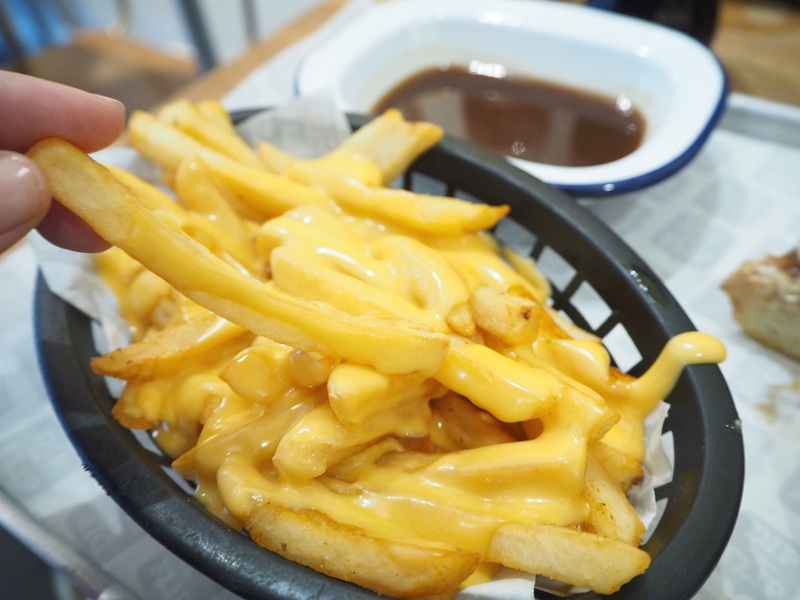 I felt hella naughty ordering the Stringy Cheese Fries. This type of bright orange plastic cheese reminds me of the US with nutrition levels at minus 39, but boy does it taste good. We both drank our cokes out of glass bottles. 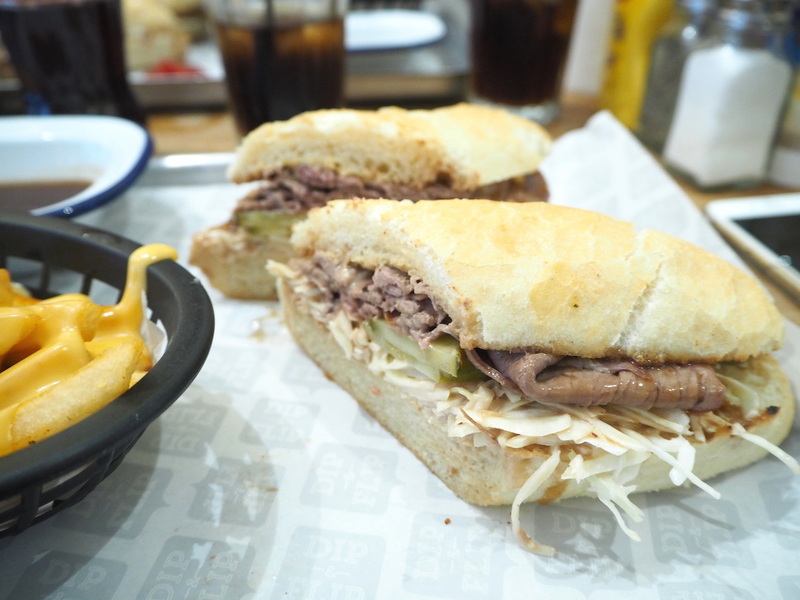 I do love the food and if a gravy soaked, slow cooked meat sandwich with all the toppings is what you are after, then Dip & Flip is place to go. I find the service sorta-almost too chilled out, but it wouldn’t stop me coming back. Not a bad start the to year.